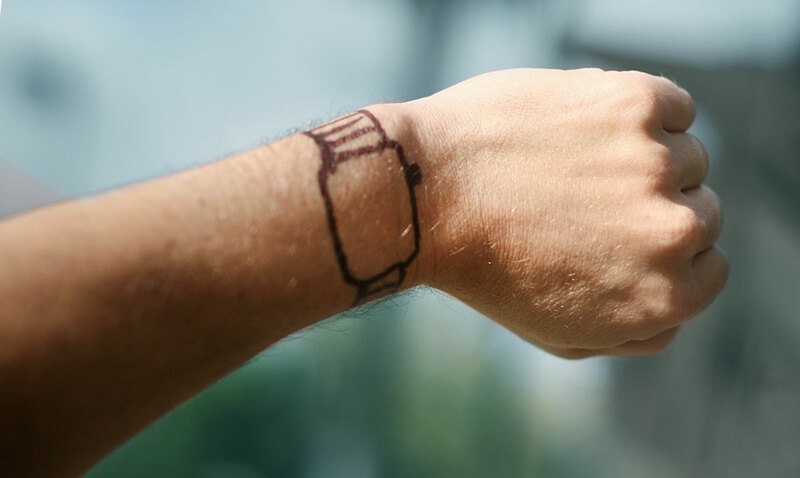 Was the tattooed wrist a blind spot in Apple’s vision? So it would appear that the new Apple Watch doesn’t work too well with people that have dark tattoos on their wrists, with the watch’s heart-rate monitor – one of the key hardware features underpinning Apple’s Heathkit API for developers of health, fitness and sporting apps for the watch – failing to pick up accurate readings for these users. It’s a curious example of an “edge-case” that got missed during Apple’s internal testing and trailing of the Apple Watch. Whilst by definition, edge cases represent atypical users and their interactions with hardware or software products, it is a bad piece of PR for Apple as they attempt to disrupt a new personal consumer segment. Whilst I’m guessing that not too many middle class, university educated hardware and software engineers working in at Cupertino may have tattooed wrists, I’m also guessing if you were to pick a similar 20 something workforce in New York City for instance this probably could have been picked up prior to launch. Getting a widely diverse user group you would think would have been a priority for Apple, particularly with a the launch of the first new product line in the post Jobs era. So where did Apple go wrong? Did their usual ultra-paranoid approach to pre-launch security stop them from enlisting testers outside of Cupertino’s round walls? Possibly, although with the occasional iPhone antennae issue aside, this really hadn’t been an issue in earlier products with Apple’s brand (and premium price point) being synonymous with high quality hardware and software. It could be that by moving into the realm of consumer wearable products, they had a blind spot. Thinking about the history of Apple products – from the Apple IIs and original Macs of the 80s, to the ill fated Neuton of the 90s to the triumphant iMacs, iPods, IPhones and iPads of the 00s, it occurs to me that watches have a significant difference as a product to anything Apple has been involved in previously. From a hardware perspective a computer, a phone or a tablet can be put through a wide variety of environmental testing factors in a lab. Unexpected user interaction behaviour problems can still slip through the testing processes, but they can largely be corrected with software updates. From a hardware testing perspective though a watch has a very intimate physical connection with it’s user – the physical size of their wrist, even the chemical composition of the user’s sweat would have to be taken into account in designing the material and physical layout of the watch. Unlike a computer, a phone that sits in your pocket or a tablet that sits in your lap, a watch requires real people to strap them on for testing. The environmental testing required needs to incorporate physically different people – including as it turns out people with tattoos. As always when a new Apple product launches there is a frenzy of media activity – both positive and negative. It usually doesn’t take long for a new “i-insert clever term-gate” story to come out. By and large though Apple have done a pretty good job this last decade and a half with weathering it though and more importantly getting people to part with their cash for their premium products. I can’t help thinking though that perhaps a degree of overconfidence had set in when taking on the watch market. But then again, they are trying to be disruptive in coming up with a watch that melds Apple computer know-how with the well established world of wearable accessories. I wonder how many Swiss engineers would have tattoos on their wrists? Who is to say they wouldn’t have been blindsided too?